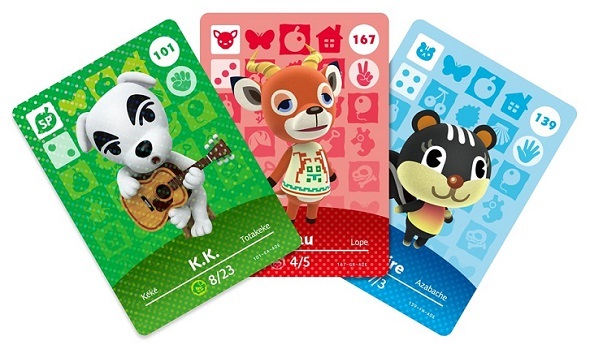 If you’re still missing a few important amiibo cards in your Animal Crossing collection, you could be in luck – if you can get to New York by this Friday. Nintendo are hosting an official trading event in their New York store on Friday June 10. The event runs from 6pm to 8pm EST, and you can read the announcement and follow updates on the store’s Facebook page. Last month, we mentioned that a Zelda fan event is scheduled to occur at the same New York store just one day later, on Saturday June 11, with 500 lucky fans being allocated a ticket to play the Zelda Wii U demo. Will you be in town for either of these exciting events? Let us know your plans in the comments section. I love all things Nintendo! It's my Dad's fault really, since he bought my sister and I the NES many Christmases ago. It was the beginning of a love affair, but who could blame me? There was no better introduction to video games than Mario and Zelda! I'm a proud owner of a 3DS (Fire Emblem-branded, thank you), a Wii U (which, incidentally, also doubles as my TV remote), and the Switch (day one, naturally). I'm a writer and a web developer, so I love writing reviews and take design elements very seriously. My all-time favorite game is Super Mario World for the SNES, though I'm also partial to any of the Mario Kart entries. Your source for the most up-to-date Nintendo news covering the Nintendo Switch and Nintendo 3DS.